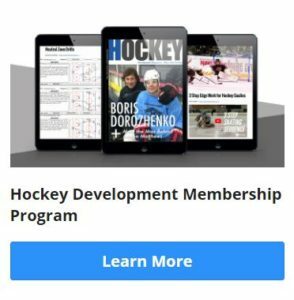 Since finishing up our Coaches’ Training Course, a few people have asked about different ways of practicing some of the systems we discussed in the course. 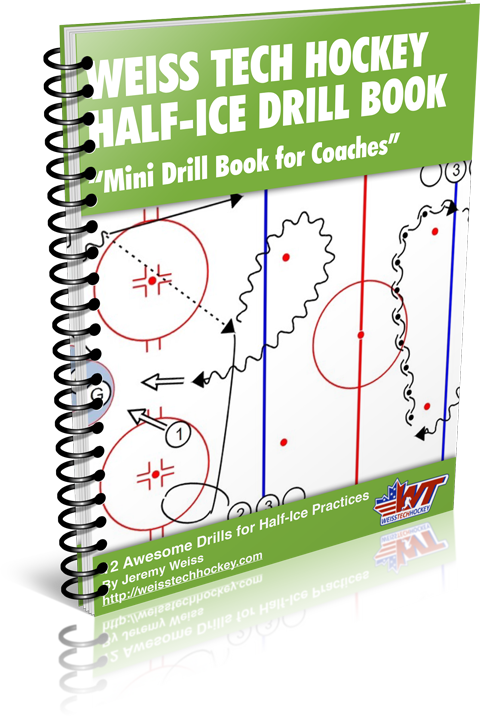 This drill is in response to the questions about practicing breakouts and regroups. 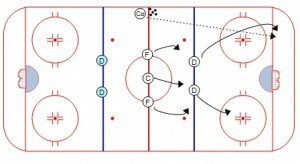 The “Breakout, Regroup, Regroup, Attack Drill” is extremely versatile, and can be used to work on a number of different game situations. After your team gets good at it, try throwing in a forechecker (or two). 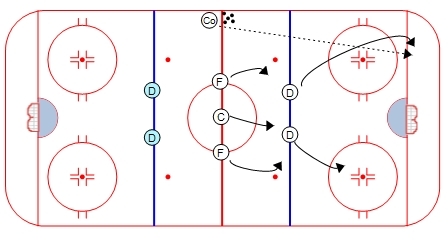 You can designate where and how you want the forechecking pressure coming in, which will make your defensemen have to read and react to different scenarios.